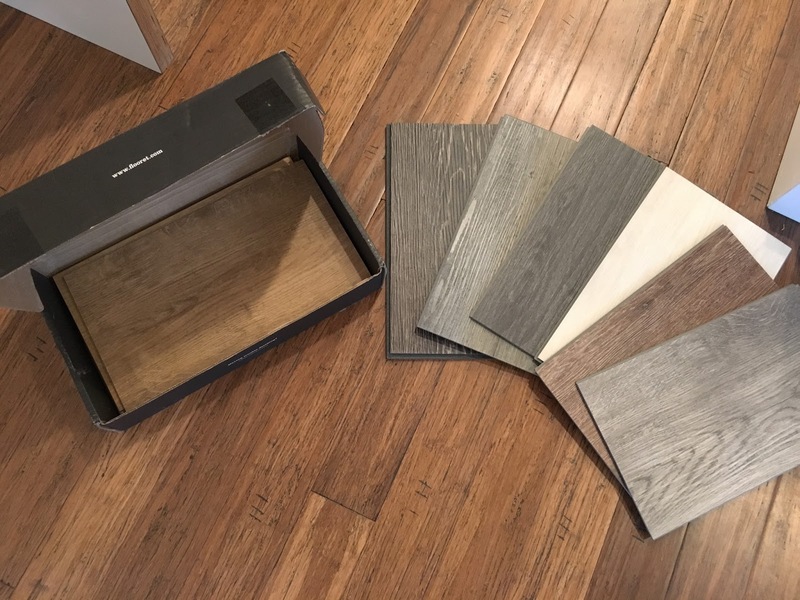 In our last three home remodels, we put down bamboo flooring. We had issues at every house. At one, it was mold. Any little spill caused mold to pop up in the cracks of the flooring. At another, the “floating” bamboo cracked and creaked as we walked over it. At yet another house, we had to have it relaid several times because of expansion gaps that keep popping up. I love the renewability and look of bamboo, and I love how affordable it is, but at this house I knew I needed something else. I also knew I needed something durable. We put a pool in the backyard, which means we will have kids running in and out of the slider in wet swimsuits all day. I wanted something durable, but with the look of wood. I grew up with vinyl floors but this is a totally different beast. 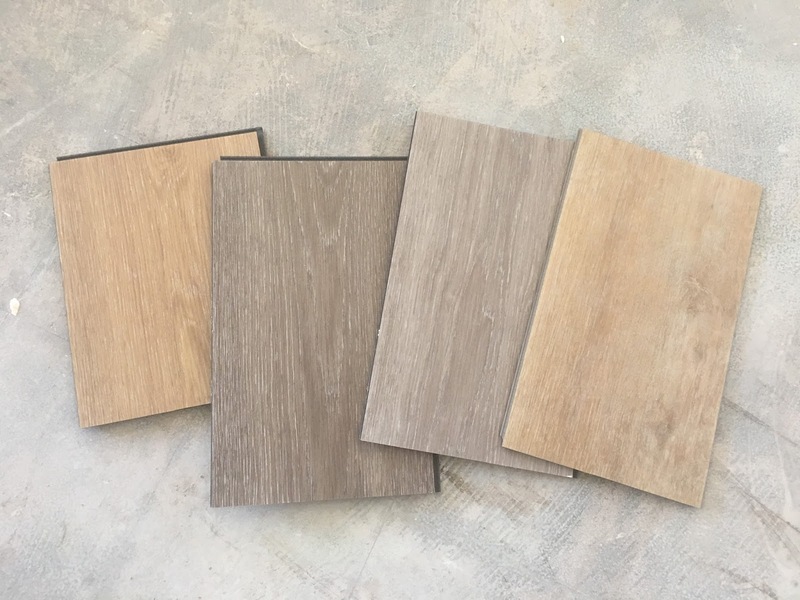 LVP has the look and feel of real wood with the durability of vinyl. It’s more scratch-resistant than wood or laminate and many products are water-resistant. I spent several days researching just about every LVP out there. I stumbled upon Modin’s Flooret product, and it was the best I could find in the genre. Flooret comes in extra long planks to give a more natural wood look. 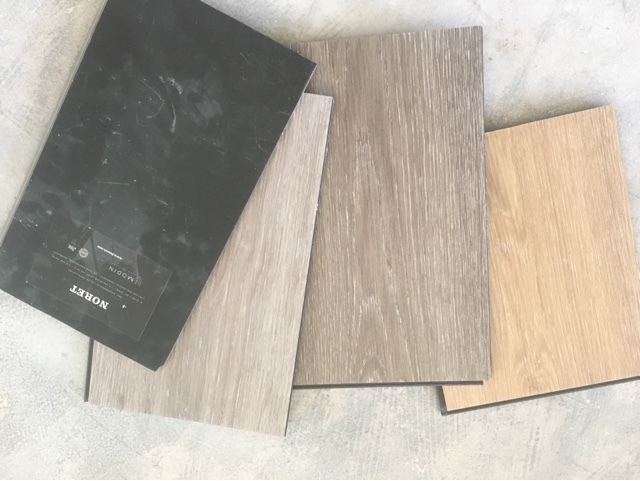 It’s textured like wood, with a matte finish. And it comes in great modern colors. 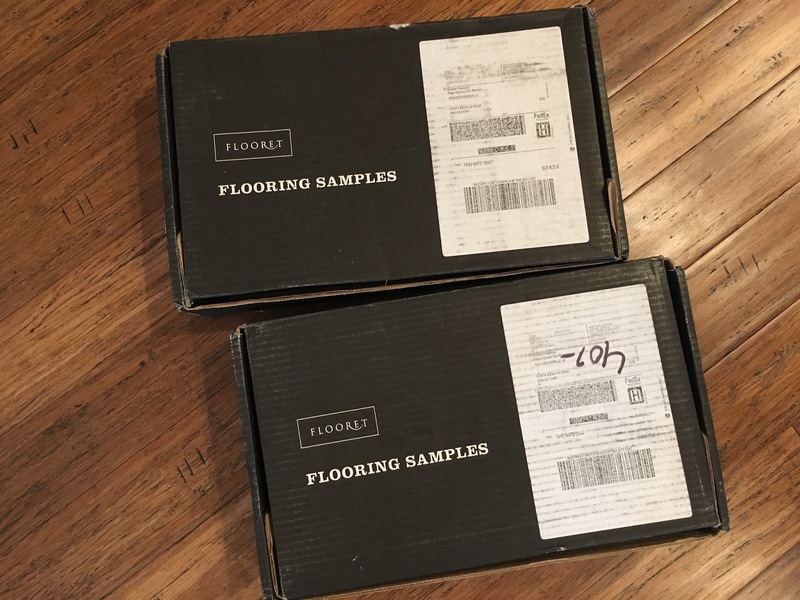 I ordered some samples to have a look. Their samples ship free, and they are generously sized so you can really get a good look at the product. The have a huge selection, but I narrowed it down to a few favorites. I wanted a lighter color than the brown bamboo we had in our last house, and something with a hint of gray. Their product is THICK. It’s substantial and doesn’t require an underlayment. Some products have a cork backing as well. So, of these colors, which would you choose? And has anyone else tried LVP in their home? What has your experience been? Never used it but sounds like s good product. Love the darker of the 2 middle colours. Which color did you choose? And how are the floors holding up? Is that the bamboo floors that the vinyls are sitting on? Wow that's a beautiful color, so sad it didn't work out.